"A young Southern woman of modest means suddenly finds herself thrust into New York's high society when she discovers that she is the illegitimate daughter of a recently-deceased billionaire. Savannah Morgan had high hopes. She dreamed of becoming a writer and escaping her South Carolina town, where snooty debutantes have always looked down on her. But at twenty-four, she's become a frustrated ex-cheerleader who lives with her mother and wonders if rejecting a marriage proposal was a terrible mistake. Then Savannah's world is shaken when she learns the father she never knew is Edward Stone, a billionaire media mogul who has left Savannah his fortune on the condition that she move to Manhattan and work at his global news corporation. Putting aside her mother's disapproval, Savannah dives head first into a high-class life of wealth and luxury that is threatened by Edward's other children--the infuriatingly arrogant Ned and his sharp-tongued sister, Caroline, whose joint mission is to get rid of Savannah. She deals with their treachery along with her complicated love life, and she eventually has to decide between Jack, a smooth and charming real estate executive, and Alex, a handsome aspiring writer/actor. Savannah must navigate a thrilling but dangerous city while trying to figure out what kind of man her father truly was. 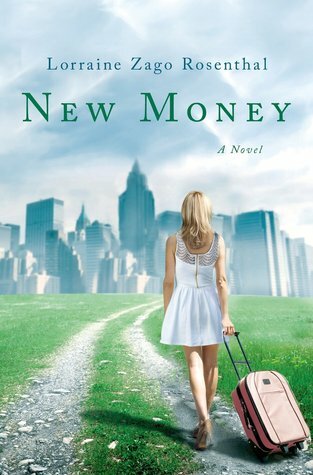 NEW MONEY is a keenly observed, fun yet wise peek into a world of privilege and glamour with a spirited and charming heroine at its center." Why I Can't Wait: Technically, this isn't a YA book but I love stories about Southern girls being thrust into NYC society. I'm currently reading OTHER WORDS FOR LOVE (I know, about time) and am completely in love with the book. Talk about your true, relatable stories! Definitely looking forward to Lorraine Zago Rosenthal's next book. 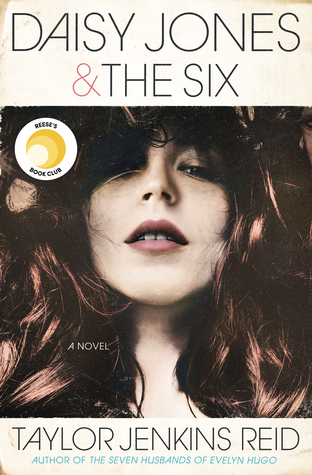 "A coming-of-age tale of fan fiction, family and first love. Or will she just go on living inside somebody else’s fiction?" Why I Can't Wait: How cute does this book sound? And the cover? Too cute. Plus, it's by Rainbow Rowell, and all I've heard for months is how I must read ELEANOR & PARK. "Centuries after wars nearly destroyed civilization, the two islands of New Pacifica stand alone, a terraformed paradise where even the Reduction—the devastating brain disorder that sparked the wars—is a distant memory. Yet on the isle of Galatea, an uprising against the ruling aristocrats has turned deadly. The revolutionaries’ weapon is a drug that damages their enemies’ brains, and the only hope is rescue by a mysterious spy known as the Wild Poppy. In this thrilling adventure inspired by The Scarlet Pimpernel, Diana Peterfreund creates an exquisitely rendered world where nothing is as it seems and two teens with very different pasts fight for a future only they dare to imagine." Why I Can't Wait: This is, by far, one of my most anticipated 2013 books. I love, love, loved FOR DARKNESS IN THE STARS and Diana Peterfreund in general so really, the only question is why did I wait so long to feature it in my WoW posts? New Money looks good. I'm a fan of those types of stories, too, and this looks pretty promising. And of course, Diana Peterfreund. I love staring at that cover. 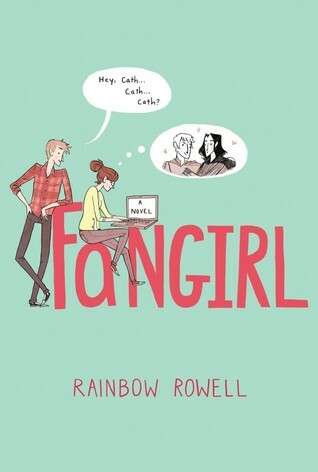 Second time I've seen Fangirl and now I REALLY want to read it! 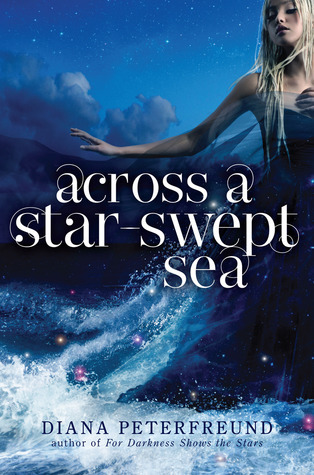 Oh, and the cover of Across A Star Swept Sea is so swoon-worthy. Great picks! I also loved loved Other Words for Love and I'm so psyched the author is coming out with another book. I had NO idea! Love that cover too.